Mass public shootings on the rise, but why? 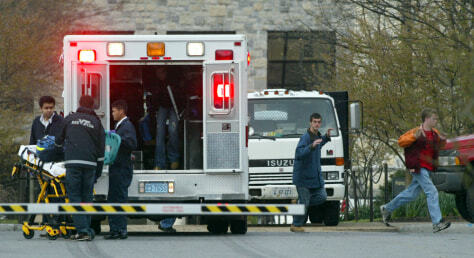 Virginia Tech students run from Norris Hall as an ambulance arrives on the scene in Blacksburg, Va., on April 16. That day's shooting — the worst of its kind in U.S. history — prompted the kinds of questions that have followed past massacres, namely, what is it about modern-day America that provokes such random violence?